What Is the Minimum Insurance Coverage Needed in California? Do you hate car insurance? Most people hate paying for it but it sure is nice if you are ever in a car accident. Not to mention, nearly every state requires all drivers to purchase car insurance by law. California is a state which requires car insurance in order to drive. 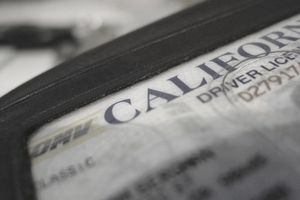 As a California resident, you have different minimum requirements than, say, a North Carolina resident does when it comes to your car insurance. Basic car insurance protects you against an accident in which you cause damage to someone else's property or injure another person. More coverage can be purchased in order to help cover the cost of your medical expenses and physical damage to your vehicle. What Is the Bare Minimum Car Insurance Required By CA Law? Bodily Injury Liability Coverage: Is a coverage which pays out to someone you injured with your car. The minimum limits required are $15,000 for the death or injury of any one person in a car accident and $30,000 for the deaths or injuries if multiple people are involved. Many insurance carriers will list the coverage as 15/30 which refers to the limits $15,000/$30,000. Liability coverage can also help cover the legal costs if the insured driver is involved in a lawsuit regarding an accident. Property Damage Liability Coverage: In California, the minimum amount of property damage liability coverage required is $5,000 for a vehicular accident. It is required coverage in the state. It will pay for damage done to another person's property resulting from a vehicular accident — if the insured driver is legally determined to be liable for the accident. Similarly to bodily injury liability coverage, property damage liability coverage will pay for legal costs if the insured driver gets sued in connection to a vehicular accident. California is a tort state meaning the driver needs to be found at-fault in order for his or her policy to pay for the damage. Keep in mind car insurance follows the vehicle. You cannot loan out your vehicle to another driver unless you insure this particular vehicle. Their car insurance will not work on your car. Should You Buy Minimum Coverage? It is not hard to see the minimum limits required are too low. $5k in property damage could be used up in a blink of an eye. Car insurance carriers often reward drivers with lower rates for carrying higher limits also known as preferred limits of liability. This may sound counter-intuitive but it's true. Sometimes you can go from a 15/30/5 limit policy up to a 100/300/100 limit policy for mere dollars. It really depends on the insurance carrier, your age, and your driving history. Do not request the minimum limits assuming it is the cheapest. Always make an agent quote you different limits so you can see the difference in cost for yourself. Simply put, if you are involved in a car accident that is not covered by car insurance, your driver's license could be suspended. Additionally, if you are stopped by a police officer for whatever reason, you could face tickets and/or fines for being uninsured — in worst case scenarios, your license could be suspended in these situations as well. Now that you know what is legally required of you when it comes to automobile insurance, go out there and do some comparison shopping so that you can be sure to get the best insurance rate available.